After the setting up of the bike by Kenton, this was so much easier. It turns out that riding a bike whilst sat down is not the way to do it. Doing that means more shock into your coccyx and not enough of your energy goes into the pedals. 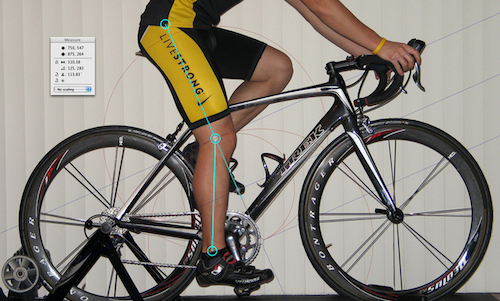 Ideally when the pedal is at the bottom your leg should be almost straight. Now that Kenton has adjusted my saddle I'm transferring way more energy into the wheels. I left work much later than yesterday, 19:04. This meant the Canal tow path was way busier, joggers, cyclists and beer drinkers everywhere. On strava the is a section of the canal called Joggers Tetris.